To begin our conversation about civil resistance, what is your reaction to the most recent news out of Tahrir Square? The news from Egypt about the new, deeper hostility between the demonstrators in Tahrir Square and the army is very worrying. During the revolution earlier this year the benevolent neutrality of the army was a necessary condition for the success of the movement in Tahrir Square. They needed to have some confidence that they would be able to continue demonstrating and not be subject to mass slaughter by the army. To me one of the most interesting pictures of that movement was of a demonstrator fast asleep in the tracks of a tank. Had that tank moved even a yard he would have been mincemeat, and yet he was sleeping in this position. So the evidence now of a harsh antagonism between the demonstrators and the army is worrying. One of the slogans that many of the demonstrators used earlier this year was “The army and the people are one”. Well the army and the people are not one, and one has to worry about that. Where did non-violent struggle, as we think of it today, begin? Many would say Gandhi and the Indian independence movement. It goes back even further. There was, for example, the very interesting movement of what they called “legal resistance” in Hungary under the Habsburg monarchy in the 19th century, where the Hungarians campaigned for more autonomy and national rights within Austria-Hungary. 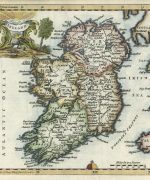 Eventually they had some limited success in 1867, and they saw that as having been more successful than the attempt at armed rebellion in 1848-49. But it was Gandhi who brought civil resistance to wider attention. He was an absolute genius at symbolism and publicity. He brilliantly conveyed the sense that here was a new form of struggle which could claim a degree of superiority over other forms of struggle. When you think about the problem that he faced – conveying that sense to Indian followers who were widely dispersed and many of whom could not read or didn’t have access to modern media – his symbolic role was critically important. More than anyone else, he forged the link between civil resistance and outcomes such as the independence and democracy for which he struggled. At the same time he left a legacy which is slightly awkward, because it’s not easy to sell Gandhi to a European public. They just don’t believe in ahimsa – complete harmlessness – nor in the total simplicity of living that Gandhi advocated. You entered this field in the 1960s. What first piqued your interest, and did the political environment of the time influence you? Human memory is always very dodgy, but I think that my first real encounter with this subject was when as a student at Oxford I went to a meeting about the Soviet Union at which Robert Conquest was speaking. I met there a graduate student called Gene Sharp, who is the author of the first of the books I am looking at today. At the time [the early 1960s], I was involved in the UK Campaign for Nuclear Disarmament. Gene was writing a thesis about non-violent action under totalitarian regimes. He impressed me with his seriousness – some might even accuse him of being intense. At our very first meeting he gave me a reading list of things I absolutely had to read, and I thought there’s a subject here. Now it’s your turn to give the reading list. 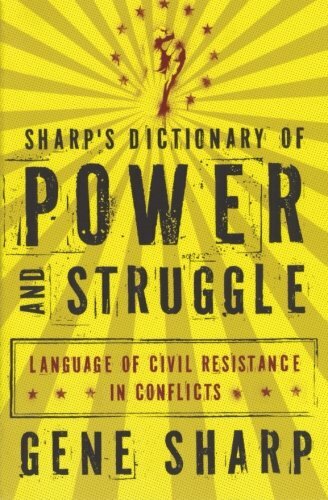 We’re beginning with Sharp’s new book, out this month, which you wrote the foreword for. Gene Sharp has been consistent over a period of 50 years in advocating more serious study of non-violent action. It’s also inevitable, if you have an American citizen who has been advocating this, that there will be people around the world – especially tawdry rulers and propagandists in dictatorial states – who accuse him of being a CIA agent or worse. It’s all absolute nonsense. What is Sharp’s central line throughout his work? I think the central line is that dictatorships and foreign occupation regimes depend upon the cooperation of the oppressed. If you take away that cooperation, you can take away some of the most ghastly features of 20th and 21st century politics. It’s not a totally new idea, but what is new about Gene is the systematic way in which he has investigated all the possible methods of non-violent action, and all the means by which there might be effective resistance to dictatorial regimes. Tell us more about this dictionary. It is an A to Z of terminology in non-violent action. One thing Gene feels passionate about is that some of this terminology is used very sloppily, including by the press. For example, he quite rightly points out that the word “non-violence” is often used in a loose way – he prefers the more specific term “non-violent action”. He feels that the sloppy use of terms has contributed to a lack of public and official understanding of what civil resistance is and how its techniques can best be used. I have differences with him on some matters. Particularly, I think that he is reluctant to concede that there is a definite role for force, sometimes even in conjunction with non-violent movements. One persuasive example is that during the American civil rights struggle, federal forces had to be brought in to protect marching demonstrators from being brutalised by local hooligans or state police in the southern states of America. It was they who enabled the famous Selma march [in 1965] to attain its objective. So I am quite comfortable – more so I suspect than Gene Sharp – with the idea that non-violent action can’t solve all problems. It’s been pointed out that Sharp – specifically with his book From Dictatorship to Democracy – almost provided the manual for some movements in the Arab Spring. There’s no doubt that Sharp’s work had some influence on events, particularly in Egypt, where some of those involved have said as much. There have been many translations of his work, and people in some of these movements have also had training in his methods of struggle. It’s not just training in how to behave – it’s training in how to think about the pillars of power of the adversary, and how those pillars may be effectively undermined. So yes, that influence is there. The Arab uprisings offer a raft of examples for our discussion, from nonviolent action in Egypt and Tunisia to its failure in Libya or Syria, which has turned bloody. There’s no doubt that there have been some very serious setbacks, including in Libya, Bahrain and Syria. These setbacks, to my mind, do suggest that there is a problem with civil resistance. The problem is that if an adversary is particularly bloody – or uses agents provocateurs to discredit the demonstrators by getting them to use force – then a civil resistance movement can easily turn into something more violent. It’s a really deep problem that has arisen sufficiently often that one can’t just think of it as an exception. We are left with the conclusion that civil resistance may work well against an adversary where there is a lot of internal dissension and doubt – as with latter-day communist regimes – but where a regime is tougher it may be necessary to soft-pedal civil resistance, to call off campaigns, to wait for better times. Sometimes, following such an approach, a defeat can turn into a success. I vividly remember being in Czechoslovakia after the Soviet-led invasion of August 1968, witnessing what was widely seen to be a defeat after an initially very successful popular resistance. And yet 21 years later, choosing his moment with the perfection of the theatrical impresario, Václav Havel in 1989 managed to bring about change in the Velvet revolution. That sense of timing – the ability to know when to act – is very important. This might be a good moment to turn our eye to the former Soviet bloc with Defeating Authoritarian Leaders in Postcommunist Countries. This book is not directly about civil resistance. 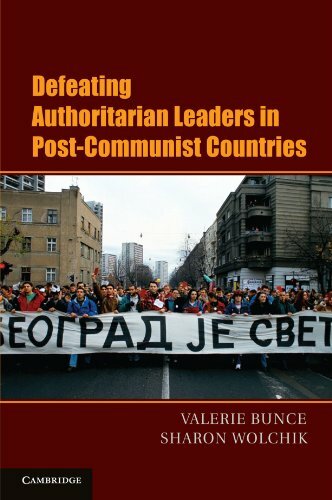 It’s really about elections in the post-Soviet and post-Yugoslav worlds, in which rulers with a dictatorial or semi-dictatorial frame of mind – people like Tudjman in Croatia or Milosevic in Serbia – were removed from power, and not always with huge numbers of people on the streets, or strike movements or whatever. But there is a recognition that success was thanks to the brilliance of people on the spot, both before elections – for example in creating unity and clarity of purpose among opposition parties – and in some cases, after fraudulent elections, in insisting that the rigged results should be annulled. So the book is a sideways tribute to civil resistance but not directly about it. All of those. Also elections in Croatia and Slovakia, where there were no great public campaigns afterwards because the results of those elections were more or less observed. The authors, Valerie Bunce and Sharon Wolchik, look at quite a wide variety of cases between 1998 and 2005. Should we approach the topic from the starting point that the most stable post-Soviet democracies are created by way of non-violent civil resistance? I don’t start from the premise that civil resistance is a cure-all. And I don’t ever make the general statement that the best democracies come from civil resistance. If you’re going to create an effective functioning democracy there’s a lot of things you need, and civil resistance may be one. But democracies depend ultimately on having a sound constitution which does a good job of balancing the interests of particular sections of society, or particular regions, with the interests of society as a whole. That said, civil resistance is particularly effective at defending democracies against military coup d’état and also against fraudulent election results. There have been quite a few cases where it’s been successful in that role. Indeed, all of the cases in this book are inheritors of the civil resistance to the Russian coup of 1991 which led to the collapse of the USSR. Was that movement the model for successive actions across Eastern Europe? The way in which copying occurs is very interesting. It would be fascinating to study those who were involved in Tahrir Square as an example. Obviously they knew a lot about what had just happened in Tunisia, but how much did they know about the revolutions of 1989 or the Soviet revolution against the coup in 1991? There are a lot of things we don’t know, and I’m struck by how indirect long-distance influence can be. I knew some Greek students who took part in the Athens Polytechnic uprising in 1973 against the Greek military junta. I asked them what the trigger for it was – why they had suddenly embarked on activism. They said they’d seen on television news a report on student activism in Thailand, and felt ashamed. They felt that if students in Thailand can be active against then-existing military rule, why couldn’t they – in the birthplace of democracy – do something to get rid of military rule in Athens? So these things have a strange genealogy that is quite hard to trace. It strikes me as implicit in this book that preconditions of successful non-violent struggle include some form of civil society and an existing electoral system. If so, what is to be done in states where there are no elections and civil society is weak or non-existent? It certainly helps if there are free institutions of one kind of another which are not controlled by the regime. But the types of social organisation that can achieve that objective – of providing social cement, mutual confidence and sometimes a place of sanctuary – can be many and various. In South Vietnam, when the Buddhists were campaigning in 1963 against the regime of President [Ngo Dinh] Diem, there was an impressive Buddhist organisation behind it. We saw the same in Burma [during the Saffron revolution of 2007]. The most striking case of all was in [Communist] Poland, where the existence of the Catholic Church in a supposedly totalitarian state meant there was a countervailing force that could provide an organisational base for a lot of the opposition. So civil society can take many forms – but some type of organisation of that kind does appear to be a sine qua non of resistance. 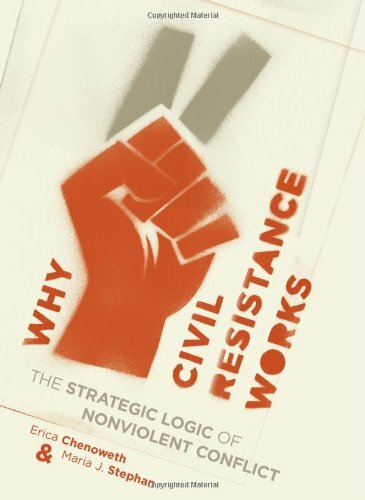 Your third pick is Why Civil Resistance Works, by Erica Chenoweth and Maria J Stephan. This book is an interesting analysis of a large number of cases where political struggles against incumbent governments took a violent form, and a large number of cases where non-violent methods were used. The authors have come to the conclusion – on the basis of these statistics and somewhat to their own surprise – that non-violent methods are, comparatively, more successful. Naturally, when one is confronted by statistics like that one has to ask deeper questions. For instance, is non-violent resistance adopted because the issue is perceived to be relatively easy or the adversary is perceived to be weak or lacking in support? They go into that sort of question to some extent, but I think there will be very interesting debate around this book about whether if you’d chosen a different lot of cases you would have come to another conclusion. There are certainly rich pickings of counter-examples. The failed Tiananmen Square movement in China leaps to mind. They do take cases like that into account. They are not saying it always works – they are simply saying that statistically it is more likely to work. It is interesting what has been learned by advocates of non-violent struggle in the West. Many of them say that it was a mistake for protesters to hang on in Tiananmen Square after it became clear that the regime was not going to give in to any of their demands, and that the army was likely to be set loose on them. I think there’s something to that argument – there are times when tactical retreats are needed. But it’s problematic to make a generalisation about it. For example, in Tahrir Square earlier this year there was a serious attempt to get rid of the demonstrators. Horsemen and thugs on camels came into the square with every intention of attacking them. On that occasion the demonstrators resorted to a degree of violence to defend the square from these thugs, and that was the basis of their success in the revolution. So you can’t say that hanging onto a symbolic territory is necessarily the wrong decision. But it was probably the wrong decision in Tiananmen Square. How about what comes after successful civil movements? Changing who’s in charge is a lot simpler than ensuring they do a good job once they’re there. One thing one can learn is that in politics, success is seldom permanent. Not even civil resistance can create paradise on Earth, or even a permanent sense of security. Also, sometimes there is a need to exert forms of pressure again in order to get the powers that be to revert to a greater degree of respect for democracy. But that’s not always easy. So one can argue that what’s happening in Tahrir Square now is very much of that sense of showing muscle – showing the army that there is a countervailing power in Egypt, and that they do not have a free ticket to do things just as they wish. What do you feel from your scholarship is the right path for Western democracies to take when it comes to the question of foreign interference? There isn’t a one-size-fits-all answer to that question, and I’m very leery about doctrines that try to address it. Each case is significantly different, and outside support and activity can take many different forms. In relation to the Communist world, Western military intervention was quite out of the question, and in my view rightly so. But the carefully calibrated, American-led economic sanctions after the declaration of martial law in Poland in 1981 arguably contributed to the eventual outcome – that is, both the lifting of martial law in 1983 and the elections of 1989 which led to the fall of the communist government. There were specific conditions which would enable the lifting of the sanctions, some of which had to do with releasing Solidarity [opposition] leaders from the detention in which they were being held. So that’s a case of external action that seems to have had some effect in the Communist world. How about military interference in Libya? If things turn out rosily, will it not have been made possible by NATO entering the fray? Probably. I was not one of those who opposed the NATO military action in Libya. I thought that in the circumstances something had to be done. That something could, in effect, only be support for one side of the conflict – although it was presented as protection of civilians. But of course there’s the question: How do you protect civilians? Obviously, the best way to protect them is to see the defeat of the side that is most threatening to them. That is in effect what was done, with some modifications and restraints. But this is not a model that can be followed in many other places. There are huge risks in thinking that because you’ve intervened militarily in one place with reasonable success, you can do it elsewhere. That was the tragedy arising from the action over Kosovo in 1999. Kosovo was a necessary use of armed force to stop oppression – something like a third of the population had been forced to leave their homes, and there was a reasonable prospect of being able to stop that. But that gave rise to worrying views that you could intervene elsewhere – as in Iraq – if you were convinced of the morality of your cause. 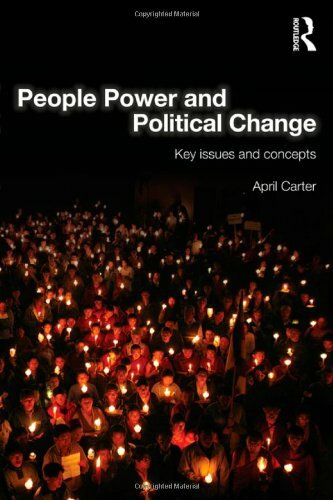 Moving on, what does April Carter’s People Power and Political Change add to the discussion? There are two things about this book that strike me as really excellent. First, it’s the shortest of the five books under review. It’s very succinct and tightly written. The second thing that strikes me is its emphasis on “people power” – by which she means essentially the same thing as civil resistance, but particularly focusing on those crisis moments when there are millions on the streets and so on, the high points of civil resistance campaigns. April Carter has been a student of this subject for as long as Gene Sharp. She brings links between civil resistance and other related topics. For instance, she compares people power with doctrines of armed revolution, and sees similarities as well as differences. It’s very useful as an introduction to the subject, including a thoughtful survey of the literature and the early history of people power, going back to the 19th century. It’s also quite up to the minute, in that it encompasses the Arab revolutions. Even more up to the minute is Occupy Wall Street. Do you view that movement as civil resistance or as something more tangential? It’s a demonstration, it’s a movement and – in as much as it is civil – it is civil resistance. But the reason why I would hesitate to classify it as civil resistance in the same breath as these other cases is that it’s still very much at the stage of protesting in a slightly amorphous way, against a situation rather than against clear, specified targets. But surely so many of the cases we’ve been talking about didn’t have clear, specified targets to begin with. That is true, although in some cases they just couldn’t declare their real objectives. Had the Solidarity movement [in Poland] announced at any point before 1989 that their objective was the ending of the communist system per se, they would have been in some difficulty. But I think the Occupy Wall Street movement, and its analogues in many other parts of the world, including Britain, do demonstrate something really powerful. Namely, a justified sense that there is a huge global problem, that the people who are responsible for that problem or for making it worse have got away almost literally with murder, and that something has to be done about it. To that extent, I think it is a very welcome development. 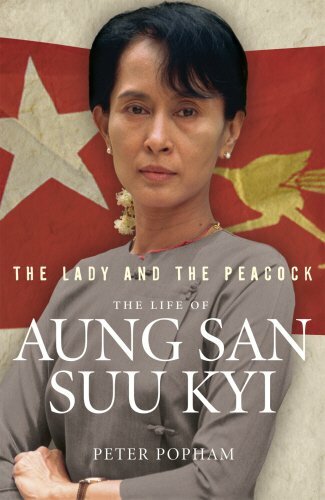 Let’s close with Peter Popham’s biography of Aung San Suu Kyi, The Lady and the Peacock, which has just come out. This book is extremely topical, and Aung San Suu Kyi is a genuinely interesting character. How could a single individual remain so heroic over such a long time, and be prepared to accept effective imprisonment in her own home even when her husband lies dying abroad? It’s a gripping story at a human level, and is very well told here. Peter Popham has relied quite heavily on the diaries and testimony of a friend of Aung San Suu Kyi’s, who later became an apologist for the regime. But he is confident – and I believe him – that the diaries were written before this friend was arrested and turned, and so it gives a very interesting account of Aung San Suu Kyi’s character and development. What precisely is it about Aung San Suu Kyi that makes her such a potent, global symbol for civil resistance? Aung San Suu Kyi – and this is not damaging, in fact it may even be to her credit – is not fundamentally a political animal. In her early years at Oxford, she was not terribly interested in the politics part of her degree. I think her appeal is much more to do with the strong moral sense that politics and public life should be conducted decently, rather than about any particular political proposal that she may have. There’s an interesting debate about what the roots of her political belief are. Many people said that she believed in non-violent action as a moral principle – that everyone should stick to it for moral reasons. Then in her BBC Reith lecture earlier this year she said no, she believed that it was simply the most effective way of achieving change, not an absolute moral principle. That’s an interesting insight into how she is not quite the simple saint – there is a more complicated mind at work. This book is extraordinarily interesting now because of the remarkable events that are happening in Burma. We don’t yet know if they portend a major change, but I believe Aung San Suu Kyi is entirely right to test out what the regime is offering in the way of permitting her and her party [the National League for Democracy] to stand in elections, releasing prisoners and so on. Do you feel that these carrots from Burma’s ruling junta are a delayed response to the 2007 Saffron revolution? It’s possible. It’s also possible, and perhaps more likely, that they are a slightly indirect result of it. Aung San Suu Kyi’s activities in the Saffron revolution contributed to Western sanctions against Burma. These sanctions had the unintended effect of driving Burma into the arms of China. That in turn had a further unintended effect, in that it made the Burmese leaders realise that the Chinese were uncomfortably close and might exert a lot of pressure on them – and it might be better to broaden their range of international contacts. So it’s possible that there’s an element of straight prudence and common sense in the Burmese decision to open up. That’s a fascinating analysis, and a justification of 20 years of perseverance. But what next? How real are the reforms? The real difficulty, both before and after elections, is whether after all these years of suffering and isolation the National League for Democracy can develop the leadership with the skills necessary to actually run the country. I don’t know the answer to that, but it’s a question that emerges from Peter Popham’s analysis – the sense that the NLD is a rather fragile flower. Aung San Suu Kyi is their symbol, but they haven’t been able to build up depth in the sense of strong leadership. It’s going to be quite a test of her and her colleagues. I heard Peter Popham talk about this very recently. He retains some measure of justified scepticism about what is going on in Burma, but nonetheless I think he would be delighted if he were to be proved wrong. That is to say, if it turned out that the reforms we’re currently seeing in Burma do actually open up the way for a genuinely democratic process in the country. We’ve said a lot of different things today about the effectiveness or not of non-violent civil resistance. Do you have a bon mot up your sleeve to tie it all together? I think the fact that these five books have all appeared in a single year, 2011, tells you something of the centrality of this subject in world politics. Whether it’s the cases that are succeeding or those that are failing, they are an indication that people power is now seen as one of the basic means of achieving change when things in normal constitutional politics go wrong. Indeed, the demonstrations in Moscow on Tuesday [6 December 2011] confirm the key role of civil resistance as at least the initial default response when elections are perceived to have been fraudulent.